Wes and Kyle Henderson work hard throughout the year to create Angel’s Envy’s award-winning whiskeys. 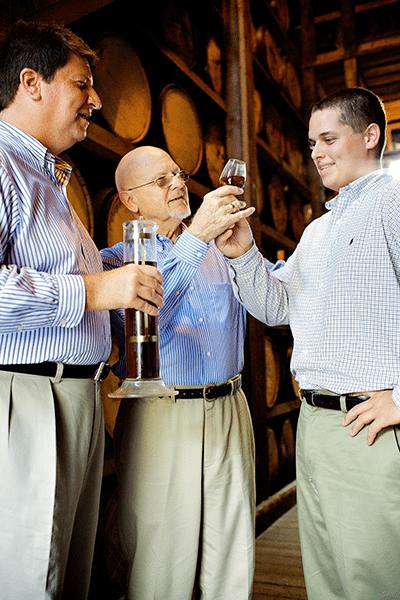 While Master Distiller Lincoln Henderson is no longer with us, his son and grandson honor his legacy with every drop of whiskey they bottle. The holiday season is a time for their family to come together to celebrate and reminisce. We sat down with both of the Hendersons to discuss their holiday traditions and why the season means so much to them. Wes Henderson is the Master Ambassador and Chief Innovations Officer of Angel’s Envy. His son Kyle is the Production Manager. We’re a pretty traditional family. For us, the holidays have always been 100% centered around the family. As early as I can remember, it was a chance for everyone to meet and come together – grandparents, cousins, everybody. I had nine great aunts and uncles, so you can imagine how many people that meant. It was always a really cool thing. On Thanksgiving night, we usually watch a holiday movie to help kick off the season. After that, we’re big fans of Christmas lights. We really enjoy driving around together and looking at everyone’s beautiful displays. The holidays were a big deal for both of my parents. Lincoln loved having everyone together under one roof. I think the strongest memory I have of my grandfather [Lincoln] from Christmas morning is that he was always behind the camera. He took hundreds, possibly thousands, of pictures of us. He was the family photographer. It’s a little sad, because we don’t have a lot of pictures of him opening his presents. He was always the man with the camera. When we were living down in Florida, Christmas was usually one of the only chances we’d get to see him and my grandmother all year, so we’d stay up as late as we could to spend time with them. For me, the holidays are all about getting the chance to reinforce family and show our gratitude for one another. Dad was always a tinkerer. He would help get our toys together and build whatever didn’t come pre-assembled. There was always at least one massive building project. He would also usually get me a science-related gift every year, which we would both work on. It was always important for him to give me something we could do together. He didn’t want us kids to run off and play with our toys alone. That’s the thing I remember most. As parents, you want to make Christmas this wonderful, magical time for your kids. My folks did, and I hope I do for my children. You and mom really do. 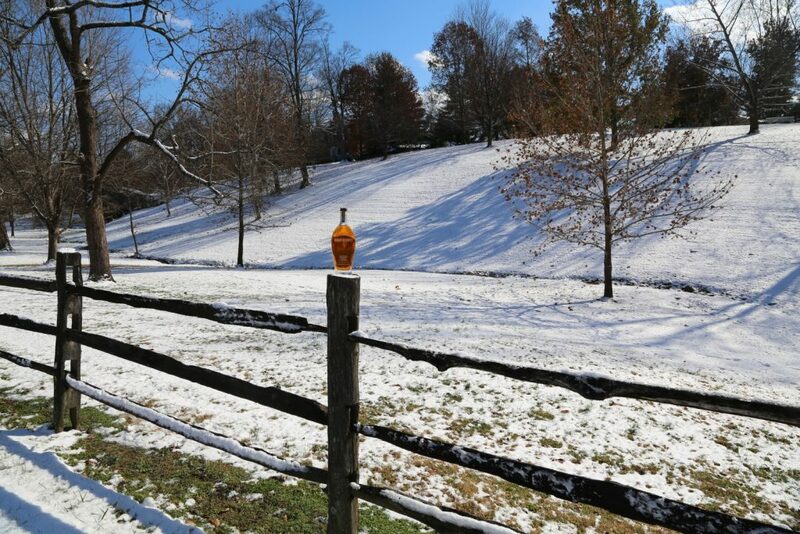 We’ve always loved the holidays. But some holiday traditions haven’t worked out as well. In southern Indiana, there’s a large farm that’s a seasonal attraction. In the autumn, they sell apples and pumpkins and in the winter they have a massive evergreen farm where you can pick out a tree. You took a bunch of us kids up there one year. I think you were planning on a new family tradition. Unfortunately, it turned out that most of us were deathly allergic to the trees. Everyone got runny noses, scratchy throats and rashes. It was definitely memorable. Yeah, there was no repeat performance of that tradition. Nope. But just spending some time together, that was really all the tradition we ever needed.